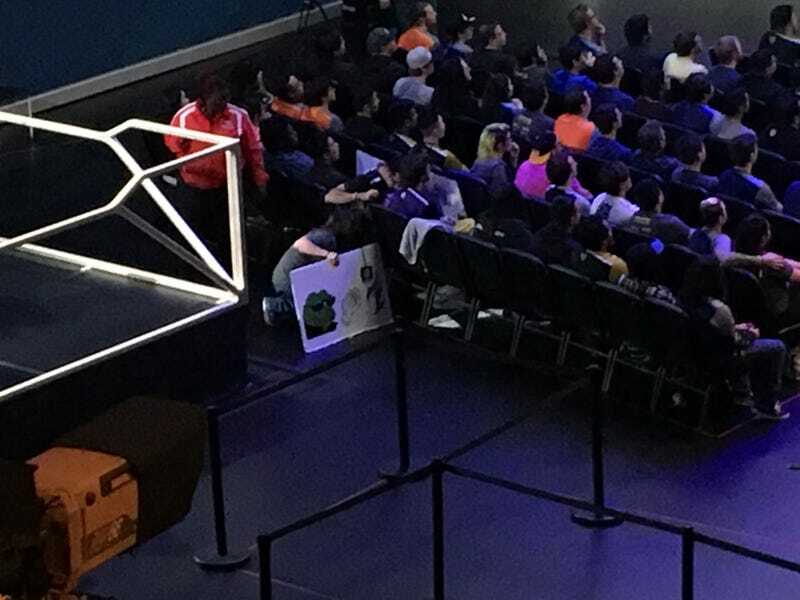 A couple audience members at the Overwatch League season one debut just got their Pepe sign taken away. They’d been using Pepe, a meme commonly associated with alt-right movements, to cheer on Dallas Fuel. Oddly, the video feed in the arena briefly zoomed in on it at one point. Eventually, the two audience members were approached by what appeared to be a staff member accompanied by a security guard. After some back-and-forth, they gave up the sign.